In his first season as the Nationals skip, Dusty Baker restored some order in leading the Nats back to the post-season, to be eliminated in 5 games by The Blue. While Dusty may be one of the finest managers of the game, going back to the 2002 World Series his teams have lost 9 straight post-season series clinchers. He can say what he wants about some of Dave Roberts moves in Game 5, fact of the matter is, once again, he was simply out-managed when it counted. Much of what was said here and by the pundits came to full fruition last year for the North Siders, ending a 108 year drought without a World Series title. The Cubs, even with the loss of Dexter Fowler, are once again primed for another deep post season run. Once again, the Dodgers are being picked by many to win another NL West crown. This would mark their 5th consecutive division title. During this stretch, only the St. Louis Cardinals have more regular season wins than The Blue. The Nats and Mets should once again be the class of the division, with both featuring some of the games deepest rotations. Miami, even with the tragic loss of Jose Fernandez, still has a lot of young talent and could be the divisions sleeper. Atlanta and Philly should also see continued improvement from last season. Much of the Cubs roster, minus Dexter Fowler, remains intact as they are once again expected to make a deep run in October. St. Louis, though without any true impact players, came within one game of a post-season spot. A mad run by the Giants in the final week including a 3 game sweep of The Blue in the final weekend would undo the Red Birds post-season hopes. The Bucs can’t really be considered a post-season sleeper. Should they avoid any prolonged injuries they still have a formidable pitching staff that can carry them into October. Dodgers over Blue Jays in 6. I had these two last year, both came within a combined 5 games of making your truly look the part of a genius. Why change? The health of our rotation. Last year, the rotation was literally a mash unit. Can Corey Seager avoid a sophomore jinx? Will Puig’s potential finally be fully realized. Will he be on his best behavior between now and October/November ? Does Andre, the longest tenured Dodger, finally get his World Series ring? Will Andre still be wearing Dodger Blue in October? 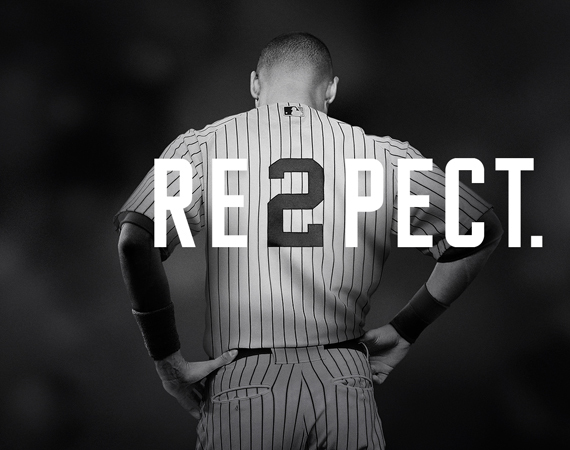 Wishing Vin a Full Recovery…Looking Back at the Regular Season…IT’S PLAYOFF TIME !!! Before we start off, by now most of you are aware that our beloved legendary broadcaster Vin Scully underwent a medical procedure and on the advice of his doctors, will not be returning to the booth throughout the playoffs . Vin is expected back in 2016, which will be his 67th with the Blue. Rest up Vinny. 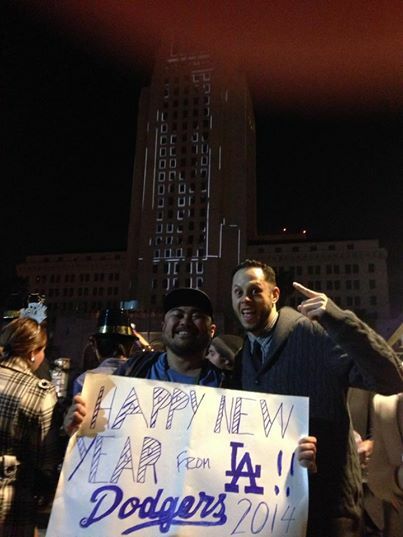 We all look forward to your return in 2016 !!! In the American League Drei here said that only one team would finish with over 90 wins. I stand corrected. Two teams finished with over 90 wins. For the first time in franchise history, The Blue will be in post-season play for the 3rd consecutive season. As said before the season, it seems the seat gets hotter and hotter. Is it World Series or Bust for manager Don Mattingly ? Both the Mets and Dodgers have very formidable pitching staffs. The question for the Blue once again will be whether anyone not named Zack or Clayton can carry the club. The Mets seem to have a deeper starting rotation than the Dodgers, however, their offense tailed off toward the end of the season, losing 5 of 6 to close out the season including a 3 game sweep at the hands of the lowly Phillies. WAKE UP KID !!! The Playoffs are here !!!! The Mets are making slow strides to respectability, but there is something to say about a rotation who’s Opening Day ( Bartolo Colon ) starter will be 42 in May. After going 21 consecutive seasons without a winning record, the Bucs have made it to the playoffs in 2 straight. 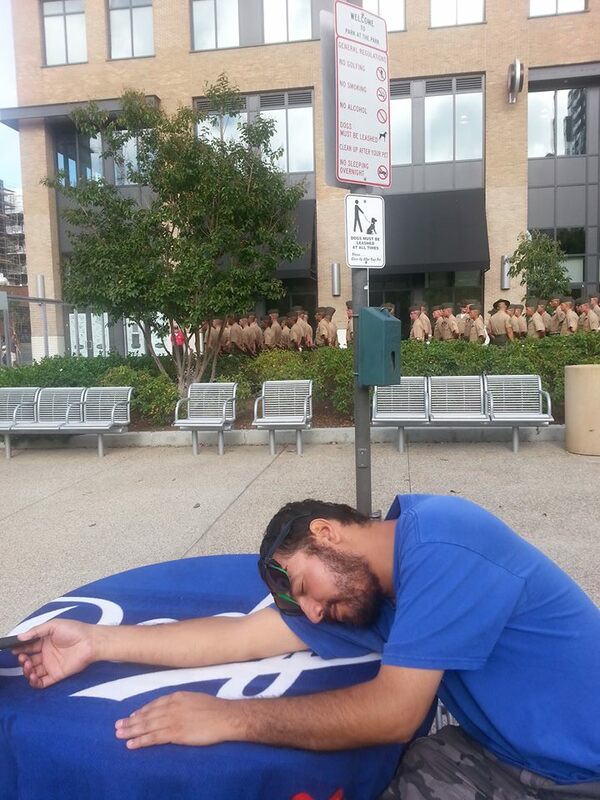 After suffering through a long stretch of futility, one could not blame a Bucs fan for raising expectations. Their outfield trio of Starling Marte, Gregory Polanco, led by Andrew McCutchen boast an highly talented outfield. Gerrit Cole looks to take over the role of the ace. The Cards are the overwhelming favorite to win their 3rd straight NL Central crown. However, there is always that one team that puts a wrench to what the bookends have to say. The Bucs have played the Cards well the last couple season, why not Pittsburgh ? The Cards are poised to make another post-season run for the 5th consecutive season. The fact that the Red Birds biggest run producer, Matt Holliday, was 10 RBI’s short of the century mark speaks says a lot about the pitching, led again by veteran ace Adam Wainwright. Much was made of the Dodgers off-season moves, unloading Matt Kemp, Dee Gordon, and Hanley Ramirez and in return getting Jimmy Rollins, Howie Kendrick and Yasmani Grandal. The outfield could be loaded once again, but with Kemp gone the real estate should not be as crowded. Joc Pederson has had a huge spring and many are tabbing him as the projected starter in center field. Andre Ethier has stated he would like to start, but his salary and lack of production the last 2 seasons has been an issue throughout the league. Could there be a platoon in left field between Dre and Carl Crawford ? Is this the year Yasiel Puig shows that he truly belongs to the big stage ? This really has the makings of a low scoring affair that could very well go the full 7. 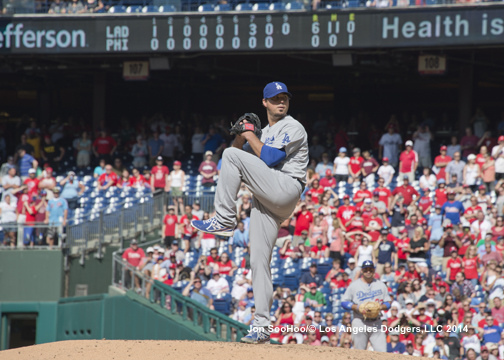 If the bookends have their way, all excitement will be focused on the nations capital, with Kershaw and Strassburg toing the hill. After all, the nations capitol could use some much needed positive excitement right ? Dodgers over the Nationals. 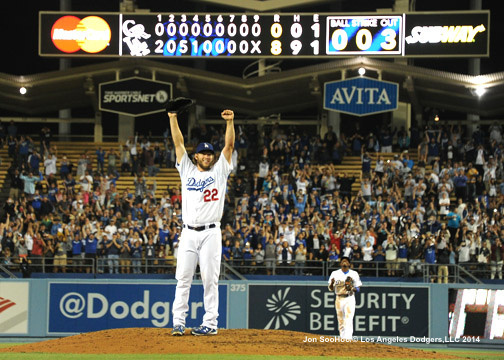 This time, Kershaw comes through in the clutch…. At this time last season, these we’re my World Series picks i’m sticking with it. Many feel the Dodgers are an improved team from last year, while the American League seems to be up for grabs. Then again, with so much parity ( There’s that word again folks ) in baseball this season, there really is no clear cut favorite to win it all, though the Dodgers and Nationals appear to be the favorites, while some believe this to be the Mariners year. The Tigers are not looked upon by many to even win their division, however, they still do return enough of their offensive firepower to be able to contend and with practically every team in the American League playing on an even field ( At least it seems that way ), Motown should see some more October baseball. 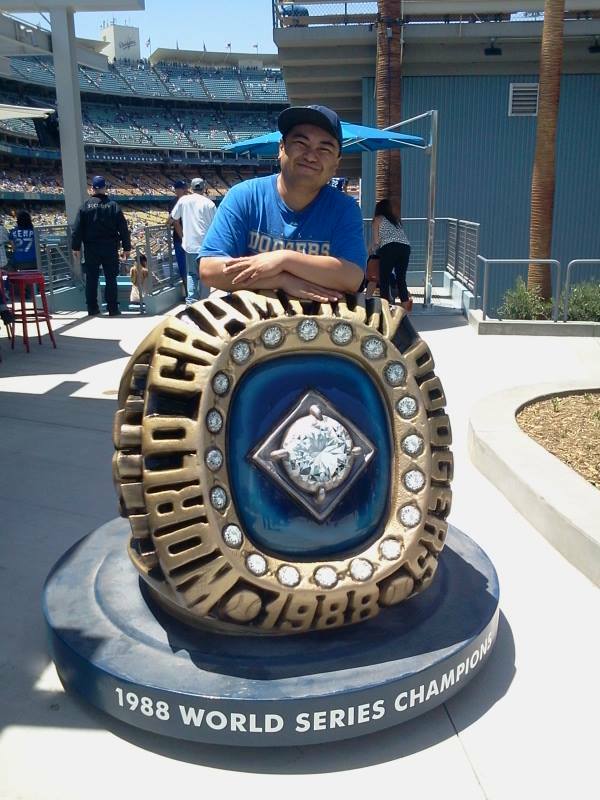 It’s time to add another ring… LETS GO DODGERS !! !